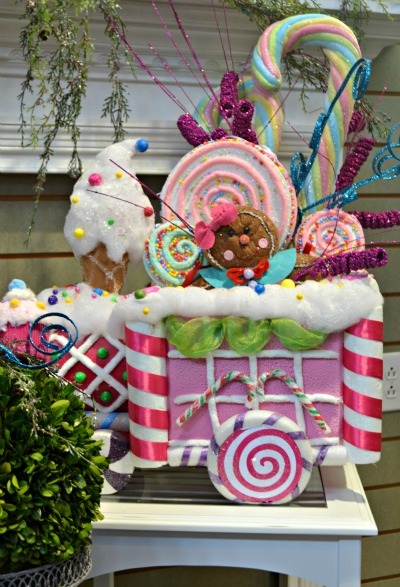 The kids will love the bright colors and whimsical details of a candy land-themed holiday display. 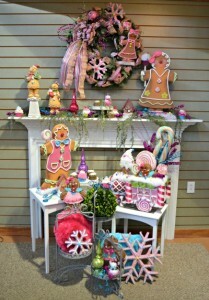 Pinks, blues, greens and purples create a bright and festive display that is sure to make everyone smile. 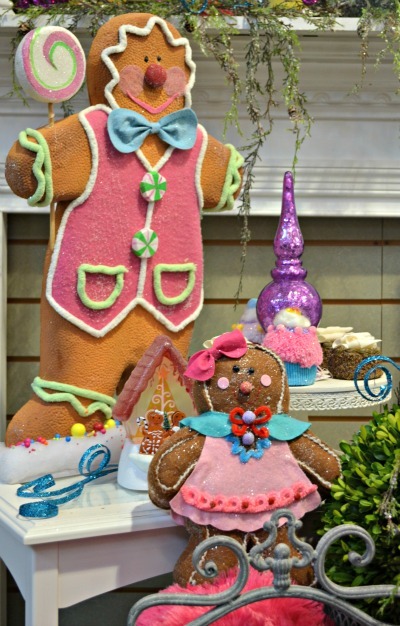 Gingerbread men, candy canes, brightly colored ornaments and picks appeal to the senses and your sweet tooth. 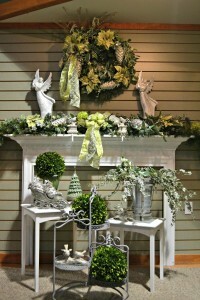 This would be the perfect decor for a kids room or play room…or for a fun and happy family room display. 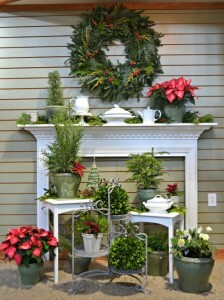 There are many other Holiday decorating ideas around every corner at Fairview. 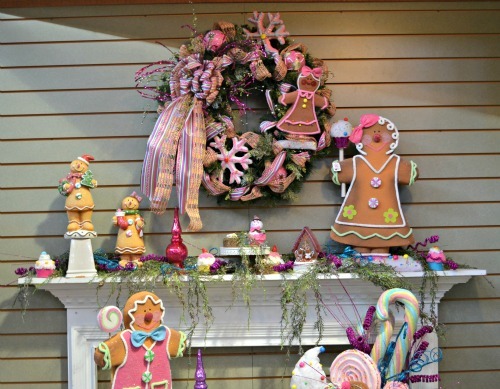 “Aunt” Phyllis spends all year planning her Holiday themes and preparing the gifts and decorations for Christmas at Fairview. 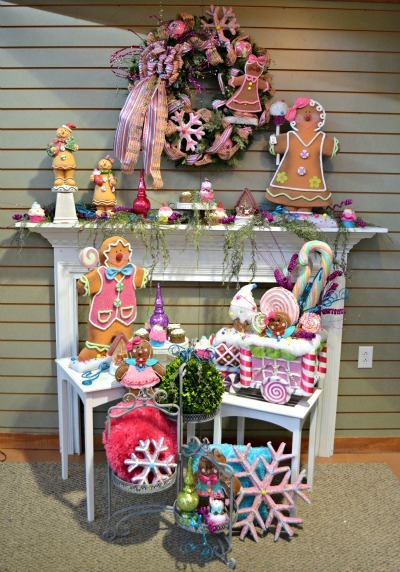 Be sure to check out our Specials page for great deals on Christmas items!